This is a 2nd installment of Sojiro’s remix project follows up 'Dainty' remixed by A Man Called Adam. Sojiro is one of most respected new age artists in Japan and also well known as a great ceramic ocarina player. And this is a result that combine his organic sounds into chillout grooves. 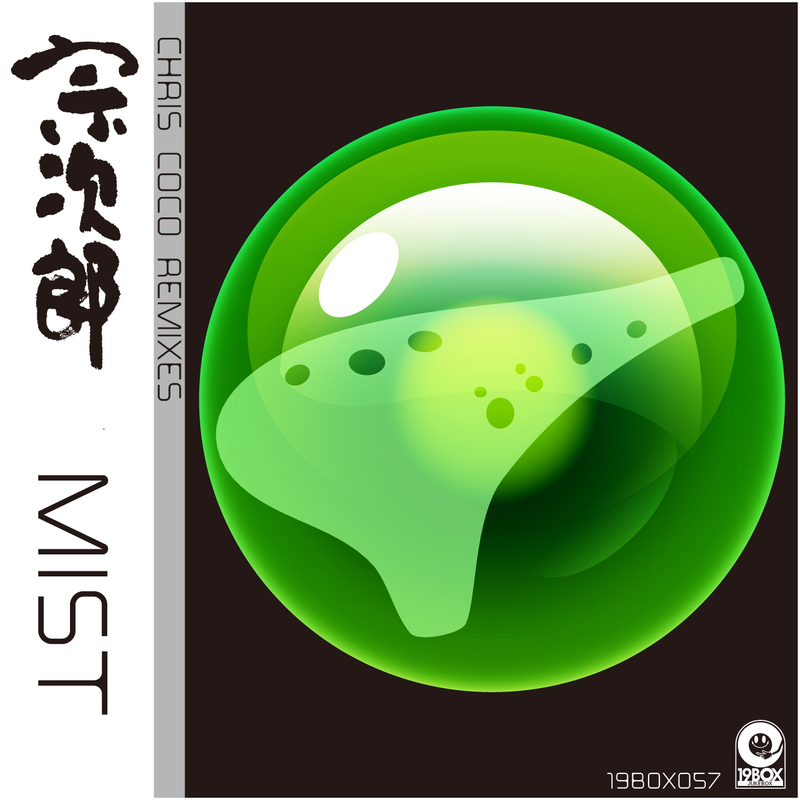 Chris Coco is a DJ, producer, broadcaster, journalist and musician. He has treated ‘Mist’ with his trademark Ibiza chillout sound that stems from the days of being an artist on A Man Called Adam’s OTHER RECORDS. Currently he is working on new music with his partner Steve Miller (aka Afterlife) as The Normalites, with his band City Reverb and also with production partner Sacha Puttnam on a secret new project. Grab your favourite cocktail and a beach towel. This is a distillation of the sound of summer. 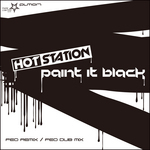 PARK LIMITED MUZIK presents HOT STATION - the collaboration in between DJ 19 (aka AMBROZIA, VALID EVIDENCE, TRANCENTRAL STATION) and HIDE (aka Hot*Dog, HIDEOUT) that has been gaining a positive reputation for all things eclectic in electronic music. Previously their focus has been on the Japanese domestic market through the 19BOX SPECIAL label. That has all changed after their recent debut album. 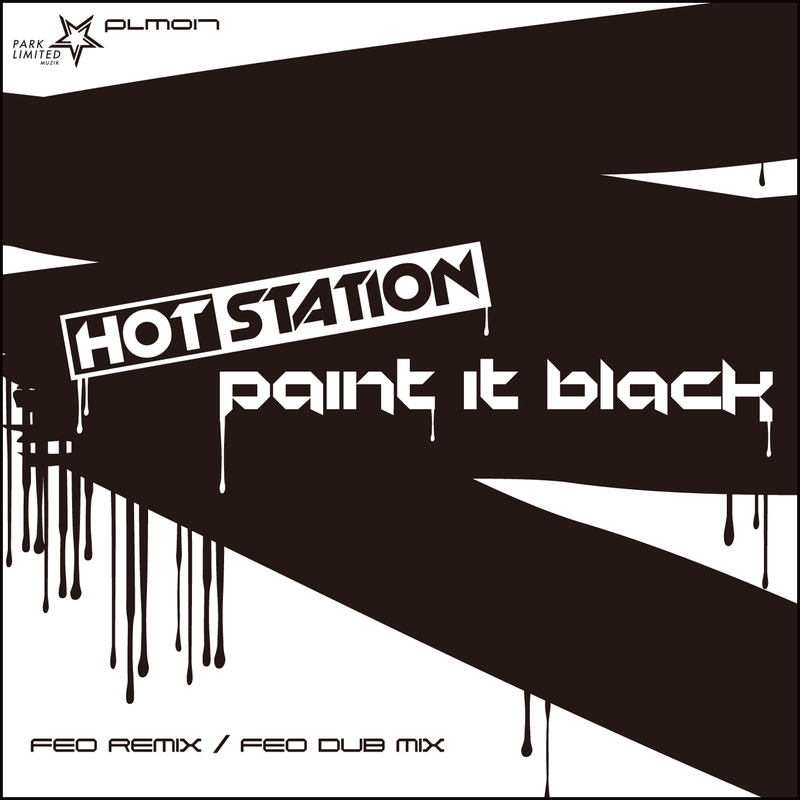 As a result of this focus on the Japanese market, “Paint It Black” previously saw a release under the track names of “Makkuroku Nuritubuse” and “Random Factor”. You may have also heard the original version on the album and remix version on PARK LIMITED MUZIK(catalog number PLM014) as “Random Factor”. “Makkuroku Nuritubuse” was released as a rap version on 19BOX SPECIAL. Sufficiently confused? We are too! That’s why we’re taking this opportunity to straighten it out and release it to the world as “Paint It Black” and give the tune a fresh coat of paint to start anew. The remix comes courtesy of a new Taiwanese act by the name of FEO. DJ 19 met him recently in Taipei during a gig when DJ 19 opened for the infamous John Digweed. This is a first release for FEO, but he’s a graduate from the Vancouver, Canada-based branch of the prestigious North American Art Institute. It was here he developed a professional knowledge in music and started to gain numerous experiences in recording and music production. This drove him to begin DJing and composing in 1999. FEO’s two remixes inject tribal elements that have us here at 19BOX towers wanting to put on a pow-wow. Ozgur is from Istanbul, Turkey. He’s been producing tracks since 2007. “Calm Before The Dawn” is not his usual progressive style. It shows the range his has as an artist and would be a good track for warming up a club or starting out a set. The intro of the beginning of the track starts out beatless and the drums gradually creep in. His standard layering of his trance-y sounds round out the original version. The remix is done by none other than label boss DJ 19 & the Ukraine’s Denis Babaev in a dance floor devastating collaboration. 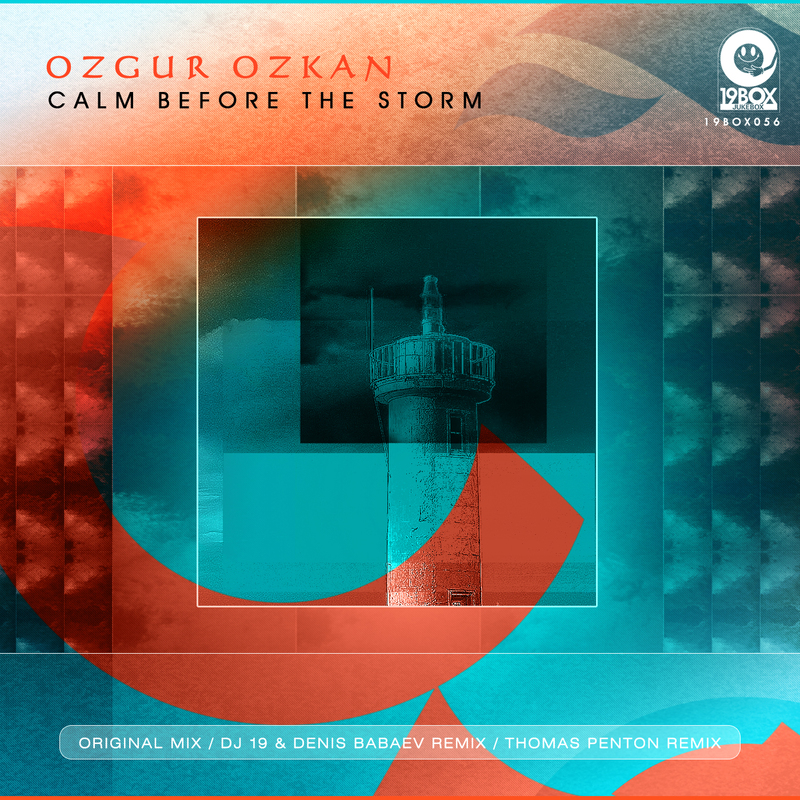 An additional remix comes from long-time 19Box Recordings friend, Thomas Penton. .
Ozgur Ozkan makes his debut on 19BOX RECORDINGS after having graced his talents on other labels such as MISTIQUEMUSIC, DEEPSESSIONS RECORDINGS, CARICA RECORDS, PURPLE CAT DIGITAL etc. Ozgur is from Istanbul, Turkey. He’s been producing tracks since 2007 and has delivered remixes to top labels such as PLUSQUAM RECORDS, BELLARINE RECORDINGS, 7 SEAS RECORDS, JETLAG DIGITAL and many others. 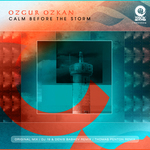 “Calm Before The Storm” is not his usual progressive style. It shows the range his has as an artist and would be a good track for warming up a club or starting out a set. The intro of the beginning of the track starts out beatless and the drums gradually creep in. His standard layering of his trance-y sounds round out the original version. The remix is done by none other than label boss DJ 19 & the Ukraine’s Denis Babaev in a dance floor devastating collaboration. Their remix features a hypnotic loop, which leaves plenty of space for the intricate percussion and bleak atmospherics. An additional remix comes from long-time 19BOX RECORDINGS friend, Thomas Penton. He’s been one of the main producers of 19BOX RECORDINGS’ output for over a decade. A fierce combination of electro sounds and buzzing synths insure everything reaches mayhem-like proportions - just as we’d expect out of Thomas. 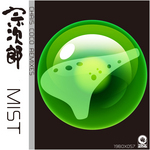 We are delighted to announce that Sojiro has joined 19BOX RECORDINGS. He is one of most re-spected new age artists in Japan, and is very well known for his talents as a ceramic ocarina player. The first release from that project is ‘Dainty’, which has been remixed by Balearic chillout heroes A Man Called Adam – of whom is made up of the British duo of Sally Rodgers and Steve Jones. For over two decades they have bridged the divide in between the genres of jazz, rare groove and acid house. More recently their focus has been on cinematic sounds. Using the that very theme of cinematic energy, they have delivered 3 excellent remixes in homage to film-scoring legends Popol Vuh and Ennio Moricone.